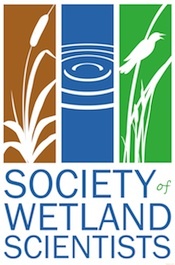 Vast resources are devoted annually to watershed management and wetland restoration. Historical wetland losses are often cited as a motivation for prioritizing ambitious wetland restoration efforts. However, analysis of historical conditions is often underutilized in the planning process. In this paper we demonstrate historical ecological analysis of the San Gabriel River watershed in southern California. We integrate multiple disparate data sources collected at different spatial and temporal scales to describe historical wetland extent and distribution. We compare historic wetlands to contemporary conditions to calculate wetland losses. From the results of this analysis, we conclude that the widely held view of southern California as naturally dry and desert-like with mainly ephemeral and intermittent streams may be an over generalization. Historically, the San Gabriel watershed has supported complex expanses of channels, ponds, sloughs, seeps, marshes, and seasonal wetlands that alternated between wet and dry conditions on multi-year to decadal cycles. We estimate that >86% of historical wetlands have been lost since ca. 1870, with the greatest losses occurring to palustrine alkali meadows in the lower floodplain. 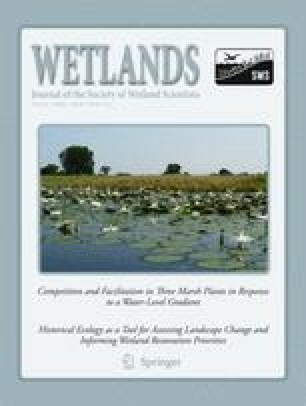 Despite the extensive losses, the analysis reveals areas of the watershed conducive to wetland re-establishment and provides insight into the most appropriate wetland types to prioritize for specific watershed settings. The online version of this article (doi: 10.1007/s13157-010-0050-x) contains supplementary material, which is available to authorized users. We thank the California State Library, along with Alan Jutzi, from the Huntington Library, and Mike Hart, with Sunny Slope Water Company, for their assistance in obtaining historic irrigation reports and maps. John Patton from the Bureau of Land Management’s General Land Office was instrumental in acquiring field notes and plats. Jim Shuttleworth and Steven Lipshie of the Los Angeles County Department of Public Works provided us with workspaces, map resources, and access to the historic aerial photo collection. We also thank Ron Davidson, who assisted with the creation and compilation of oral history notes; Chris Tasick, who helped in the collection and scanning of historic maps and aerial photos; and Danielle Bram, who provided GIS support and developed some analysis tools. Finally, we thank David Deis for his cartography work. Map creation was critical to the success of this project and our ability to visualize historical conditions. This would not have been possible without David’s hard work, expertise, and attention to detail. The following peer reviewers have provided valuable insight and comments to improve the quality of the document: William Deverell, Paula Schiffman, Barry Hecht, and Jessica Hall. Funding for this project was provided by the State of California Rivers and Mountains Conservancy under Agreement #RMC3556.